Amazon Web Services (AWS) dominates the worldwide public IaaS market, is in tight competition in the PaaS market. But it's an also-ran when it comes to the managed private cloud category, according to a report from Synergy Research Group. Microsoft and Google may be growing faster than Amazon Web Services as public cloud infrastructure providers, but Amazon still claims a dominant 45% of the worldwide IaaS market, according to market researcher Synergy Research Group. "Amazon remains more than twice the size of the next three public IaaS providers combined," based on stated revenues, the Synergy report summary noted. The next three IaaS providers are Microsoft (Azure), Google (Google Cloud Platform), and IBM (SoftLayer and Bluemix Clouds). Synergy offered that assessment Oct. 30 after its analysis of third-quarter earnings reports of Amazon Web Services parent company Amazon, Google parent Alphabet, and Microsoft. It concluded that AWS holds less than half the total infrastructure market, with all competitors combined representing 55%. Gartner's lead cloud analyst, Lydia Leong, concluded in 2015 that Amazon had 10 times the installed server capacity of its combined rivals. Analysts tend not to break down what share of server capacity goes into pure play cloud services versus other parts of the business, as with Amazon's online retail sales or Google's search engine. However, Amazon does not enjoy the same level of dominance in a second cloud market -- platform-as-a-service. Competition between itself and its three top competitors is tight. In the Synergy report, PaaS includes AWS's online database services, its database migration and schema formation tools, and the development environments available on EC2. Synergy also includes Internet of Things services and analytics services in the category. 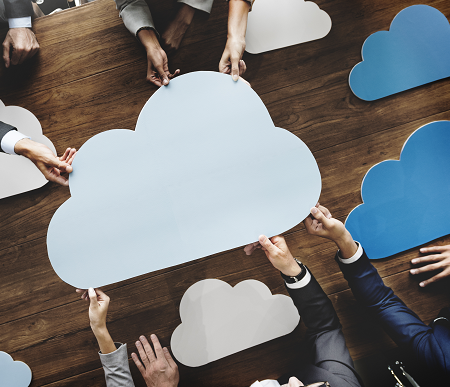 The research firm said that Microsoft, Salesforce, and IBM together represent a slightly greater share of the PaaS market than the share commanded by AWS. Microsoft's Azure is a major platform for Visual Studio Team Services, while IBM Bluemix PaaS includes access to IBM middleware and development tools. Salesforce offers both Force.com and Heroku as platforms for application development that can work with Salesforce CRM applications. In addition, Google App Engine offers many of the tools and languages that Google uses for its internal development efforts, such as Go and Python. 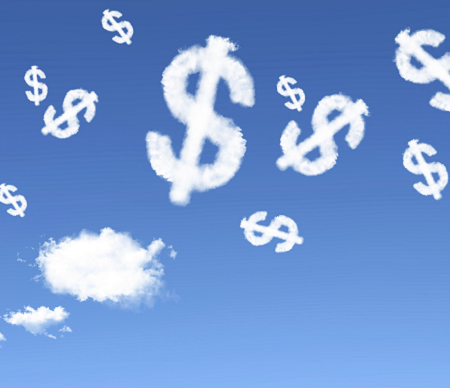 A third cloud category is managed private cloud, an area where Rackspace and IBM have tended to dominate the field as they make bare metal servers available to customers for legacy applications. In that segment, "IBM is the market leader, followed by Amazon, Rackspace and NTT. In aggregate the big four cloud providers -- Amazon, Microsoft, IBM and Google -- continue to control well over half of the worldwide market," the report said, and all four continue to grow their marketshare. "Amazon, Microsoft and Google continue to invest huge amounts in their hyperscale data center infrastructure," the report summary quoted John Dinsdale, research director at Synergy, as saying. "All three have recently expanded their data center footprints and also announced plans to open up more geographic regions […] This scale is the prime reason why they are able to gain market share and pressure smaller players into consolidation or refocusing their cloud activities." AWS parent company Amazon missed its expected earnings per share in its conference call on Oct. 27 for the third quarter, which ended on Sept. 30. Chief financial officer Brian Olsavsky said during that call that revenues of $32.7 billion were up 28.9% over the third quarter of 2015. But earnings per share were $.52, or $.28 below what analysts had been expecting. Olsavsky pointed out that Amazon added 18 fulfillment centers during the third quarter, followed by another five in October. Its warehouse square footage is 30% greater than 2015, which saw a 20% increase over 2014, he said. He also said AWS continues its rapid expansion in India, where it has displaced Snapdeal, the number two online retailer in the country. Alphabet chief financial officer Ruth Porat said in her company's earnings call, also on Oct. 27, that Google search and video advertising was the main source of its 20% third-quarter growth in revenue, which reached $22.5 billion. Google's parent company didn't break out "other" revenue, in which its cloud operations may be found. This "other" shouldn't be confused with its "other bets" revenue, which includes its "moonshot" programs, such as driverless cars, Nest smart home appliances, and high-altitude balloons to provide internet service. Other bets in the second quarter amounted to $859 million in expenses and $185 million in revenues. In the third quarter, those revenues nosed up to $197 million.